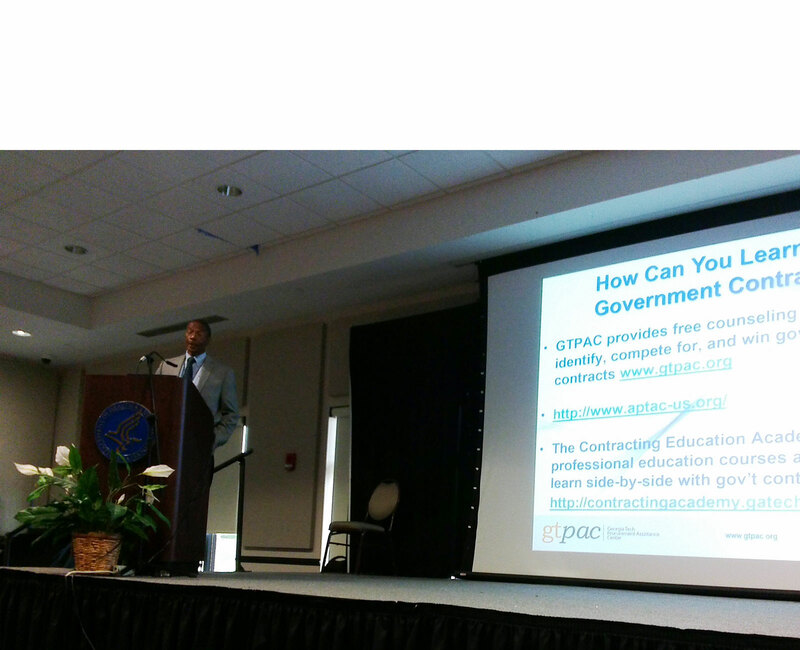 The Georgia Tech Procurement Assistance Center (GTPAC) will counsel you and your business associates on how to navigate the government procurement process. Our seminars and workshops cover a wide range of government contracting topics and are taught by experts who have many years of government contracting experience. Executing the System for Award Management (SAM) federal vendor registration system and other vendor registrations at local and state government levels. Conducting market research, finding opportunities, and establishing relationships. Reading and understanding a government solicitation for a bid or a proposal. Preparing, reviewing and finalizing your bid or proposal. Researching federal specifications, standards and requirements. Locating technical information, drawings, and pricing. Understanding RFID, UID, and other packaging standards. Submitting an invoice, including electronic ones through the Defense Department’s iRAPT/Wide Area Work Flow (WAWF) system. Identifying and participating in Internet-based and other electronic procurement opportunities. Preparing responses to sources sought, pre-award surveys, and other government solicitations and inquiries. GTPAC has offices and conducts classes in convenient locations across the state of Georgia, and many of our seminars are offered as live webinars. To register for our seminars, webinars and workshops, click on Training here or on the tab at the top of this page. All counselors, locations, and their contact information are posted under our Team Directory for easy identification. Be sure to check for the office nearest you. For more information, including our Terms and Conditions, click on About Us here or on the tab above. Ready for advanced course work in the field of government contracting? Then we recommend you visit The Contracting Education Academy at Georgia Tech for professional education courses. If your business is located outside the state of Georgia, you can find a procurement technical assistance center (PTAC) located near you by clicking here.